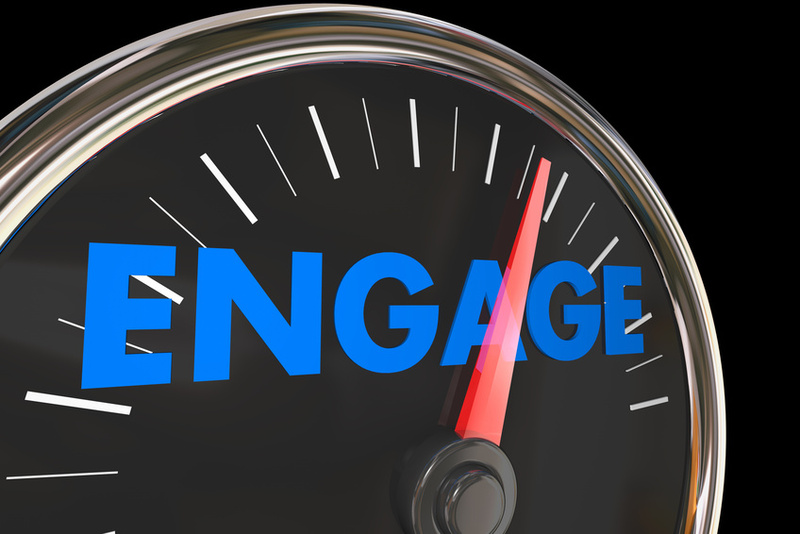 What can you do to engage your people and ramp up the participation levels of your recognition programs? While recognition giving is certainly everyone’s responsibility your leaders set the course direction. Getting senior leadership to both sponsor and exemplify using your programs is critical. Have key C-suite leaders personally commit to consistent and regular usage of all of your recognition programs. Suggest they make it a scheduled activity on their calendar done on a daily basis. Remind them also, that giving of rewards may be delegated to an assistant under their direction. But giving recognition and expressions of appreciation can never be delegated to someone else to do. It must authentically come from them. You may even want to launch programs in a piloted introduction where there is a leader and department known for their belief in and demonstrated commitment to giving employees the recognition they deserve. Communication is one of the biggest keys to elevating participations levels for use of your recognition programs. It is setting the expectation that giving recognition is the way you do things at your company. Using the programs you have installed are tools to help make this easier for everyone to give recognition easily and frequently. Like any communication campaign you have to answer the “What’s In It For Me?” (WIIFM) reasons for using the programs when there are so many other demands on an employee’s time. Show managers and employees that employees who receive meaningful and authentic recognition are happier, more engaged, and just happen to achieve higher productivity and sales results. Managers need to go online and use the programs so they know how easy they are and can demonstrate their effectiveness. Then they must encourage and coach their employees to acknowledge the positive actions going on. Create a branded and graphically appealing name and visual collateral to support your programs. A program that has a catchy and memorable name is more likely to be used by people. Ensure you communicate messages about recognition and your programs from every positional direction. You need top down direction to use the programs with bottom up accountability reports. It also requires usage of every communication medium from email blasts, intranet newsletters, strategic placements on the website, and offline tools like tent cards in the cafeteria, recognition announcements on LCD screens, and posters and advertising on bulletin boards. One of the reasons programs aren’t used well is no one is telling everyone how well they are or are not being utilized. Give everyone feedback on the progress being made. Otherwise, your recognition programs become an out of sight out of mind problem. Your goal is to raise the profile of each recognition program by giving at least monthly and definitely quarterly feedback to leaders on how the programs are being used. And don’t forget to acknowledge those who are using the programs well. It is very important to recognize the recognizers. Have them share with others why they are using the programs and share the benefits they’ve observed from doing so. It is not only good to identify who is recognizing well but to determine what people are being recognized for. When employees and managers get a better sense of the reasons for giving recognition they become more aware of what they can be recognizing people for. This is where you need as much measurement and reporting happening as is possible. From participations levels, usage reports, identified behaviors recognized, who is recognized and why, who is doing the recognizing and which department are they from. This information will help you better understand the reasons for current participation levels. Design, or have your vendor produce, reports that can be generated from your recognition program data to identify these metrics. Analyze these results and correlate them with your productivity measures and other business outcomes. Always remember to capture the qualitative measure of how satisfied employees and managers are with the recognition they receive. Determine how well employees feel valued for their contributions through regular pulse check surveys or the annual employee engagement survey. To improve the participation levels of your recognition programs your people need to become effective users of them. Educate managers and employees on how to use each of your respective recognition programs with online screen capture tutorials or workshop presentations. Each program will have its own nuance. Every company will have their own logistical constraints of accessibility by all employees. Generate storyboards and have on display throughout the company of stories of individuals and their example of how they either used the programs or benefited from them. Promote best practices in management meetings where managers are invited to share how they integrated using the recognition programs into their busy schedule. Share productivity techniques for minimizing distractions and getting more work completed so that blocking time out to go online and recognize someone becomes an easy task to schedule. Getting higher participation levels and usage of your programs is never a quick fix exercise. Success with your recognition programs requires constant and consistent leadership, communication, feedback, measurement and education. Question: How have you addressed low participation and usage levels with your recognition programs? I’m glad I have found your blog, Roy. I’ve seen other articles by industry leaders that imply recognition program participation rates are not very high, but I have not found actual data. Are you aware of any studies that have measured this?